1. 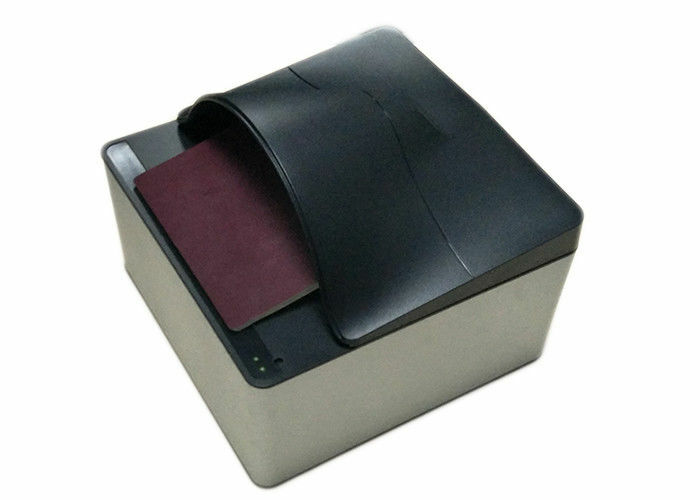 Completely compliant with ICAO Doc 9303 standards:supporting TD1/TD2/TD3/TDV document size scanning. 2. 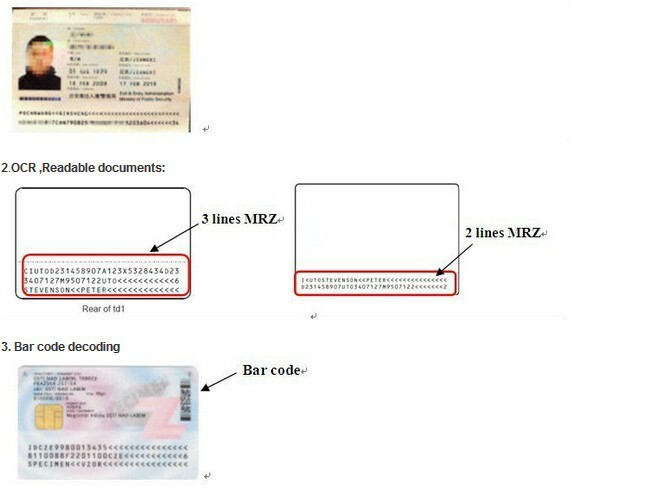 Capable of reading machine readable zone, and visual zone data: to capture and verify relevant data of all international passports, as well as plastic ID cards, drivers licenses, health insurance cards and other documents. 3. 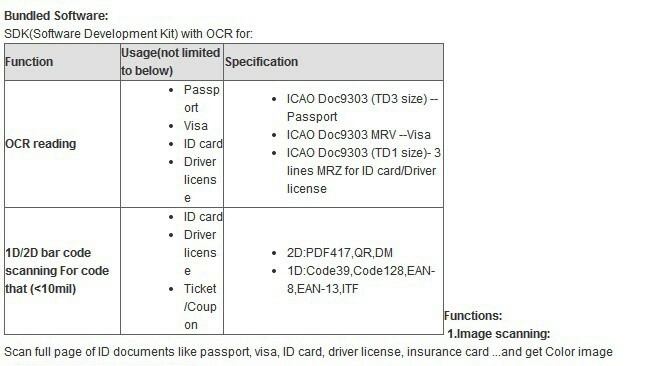 Three light sources of images: Visible, Infrared (IR) and Ultraviolet (UV):to meet the rules of each countries on travel documents, like UV overprint and IR drop-out. 4. 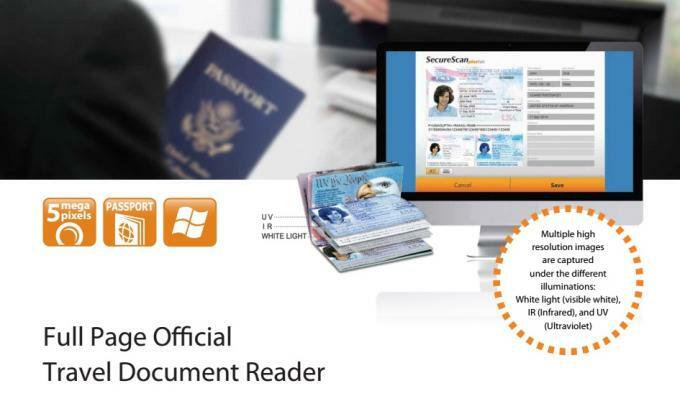 Auto-Detect of document type, document size, and 2 seconds Quick- Scan: to reduce check-in time, increase trac ow and accurate customer pro_x001D_le data. It only takes approximately 2 seconds from scan to show (including photo on screen). 5. Easy to integrate Identity Management Systems:oers SDKs to system integrators upgrading existing or developing new identity management system. 6. Scalability of extra devices like AFIS & facial recognition via USB hub: user may easily extend recognition system like _x001D_fingerprint, facial recognition via built-in USB hub; 2 extra USB ports are available.